Taxes affect the bottom-line for both individuals and businesses. Our tax lawyers help clients evaluate the tax issues and implement plans to make their lives and businesses more tax efficient. 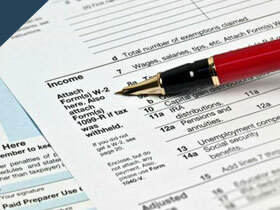 As tax counsel, we help individuals, families, closely-held businesses, public companies, and charitable organizations. We help clients with tax decisions and strategies, including the type of entity to form (i.e., C corporation, S corporation, LLC, partnership, etc. ), how to compensate employees, how to structure the sale of a business, and how to transfer wealth within a family. We also represent clients before local, state, and national taxing authorities to defend prior actions and their tax consequences. In all of our representations, we embrace a team approach and work closely with our clients, their accountants, their financial advisors, and their other advisors to customize tax-advantaged solutions and strategies. We also put our tax knowledge to work and expand it by serving on non-profit boards, civic organizations, and the Executive Committee of the Oregon State Bar Tax Section. This allows us to discuss the current hot topics in tax with other private practitioners, the tax authority agents enforcing the tax law, and the judges who ultimately rule on our clients' tax matters. Above all, our goal is to help clients understand the tax landscape and navigate the best course for the client. There are often multiple approaches possible, and we help evaluate each of those approaches and implement the client's choice. Interventional Angiography, P.C. and University Radiologists, P.C. are both IRC §501(c) (3) tax-exempt organizations. To our knowledge, these are the only tax-exempt professional corporations in Oregon. We obtained an IRS private letter ruling approving the tax-free split of Wilhelm Trucking from its parent corporation. Our business attorneys excel in the area of tax law. Many of them have specific backgrounds in tax law (i.e., CPA, Masters in Taxation, and significant work experience in tax related matters). These backgrounds enable our business attorneys to better serve our clients when it comes to planning and structuring business transactions. However, as tax practitioners, our business attorneys also represent clients in front of the Internal Revenue Service ("IRS") and various state taxing agencies, including the Oregon Department of Revenue ("ODR"). For example, our business attorneys have successfully represented business executives in front of the IRS and ODR in connection with non-payment of payroll taxes, and individuals in front of the IRS and ODR in connection with a failure to file tax returns and pay taxes owing. In some cases, as part of resolving matters involving non-payment of taxes, our business attorneys have been successful at reducing the amount of taxes, interest, and penalties owing by the taxpayer through a process known as an Offer in Compromise. We have been involved with and successfully completed many IRC Section 1031 "like kind" exchange transactions involving real estate. These types of transactions often defer significant income tax obligations that would otherwise arise from the sale of "relinquished" real estate by the taxpayer purchasing "replacement" real estate within a specific time frame. For example, in one recent matter, we represented a client who sold a retail strip mall and a single tenant retail building (as the "relinquished" real estate) and purchased a manufactured housing park (as the "replacement" property) in a qualifying IRC Section 1031 "like kind" exchange transaction. By structuring the transaction as a "like kind" exchange transaction, the client was able to defer approximately $1,000,000 in income tax obligations that would otherwise have arisen as a result of the sale of the retail strip mall and the single-tenant retail building. A client was audited, and the IRS asserted that the client's farm was not a true business. The IRS denied all deductions and asserted a significant tax deficiency, with additional penalties and interest. All reasonable attempts by the client's CPA to resolve this with the audit division proved fruitless. We took the matter to appeal and obtained a total capitulation by the IRS, resulting in no adjustment to the client and an acknowledgement that the IRS had been overzealous in pursuing the taxpayer. A client ran a construction business as a C-corporation. The IRS audited and asserted that the client's compensation was unreasonably high and recharacterized a significant portion of the compensation, as well as a well documented loan to a shareholder, as a constructive dividend. This resulted in the assertion of a double tax by the IRS. In taking the matter to appeal, we succeeded in substantially supporting the taxpayer's position. We have successfully represented taxpayers on numerous IRS appeals involving tax shelters, as well as other "aggressive" tax planning transactions.